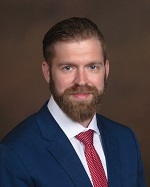 Robert received his Bachelor of Science degree from the University of Florida in 2012 and his law degree from Stetson University College of Law in 2015. During law school, Robert was the chief law clerk for a Tampa law firm specializing in Plaintiff’s Personal Injury and Medical Malpractice. He also clerked with S&P 500 company, Jabil Circuits, Inc., focusing in the areas of corporate law, contracts and international intellectual property issues. Robert practices in the area of Insurance Defense, specializing in Workers’ Compensation, and is a member of the Florida Bar Workers’ Compensation Section, Trial Lawyers Section, Entertainment Law Section and the Young Lawyer’s Division.